Moscow, SANA – Deputy Prime Minister, Foreign and Expatriates Minister Walid al-Moallem, said that liberating Idleb province from terrorism is a priority, whether this is done via reconciliation which the Syrian government prefers, or via military action, adding that the international community must acknowledge that Idleb is Syrian territory and thus it is the duty of the Syrian state to reclaim all its lands, and others have no right to prevent that. In an interview given to RT on Saturday, al-Moallem said that Jabhat al-Nusra which is active in Idleb city is a terror organization as acknowledged by Security Council resolutions, and Syria and its friends agree that it is necessary to liberate the city. 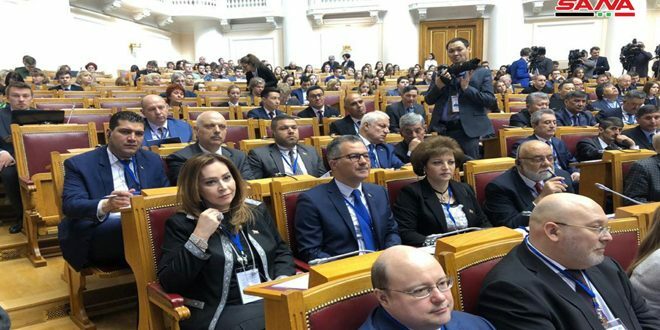 He noted that in order to protect civilians from the risks of military operations, a humanitarian corridor was opened at Abu al-Duhour Airport through which hundreds of families came from Idleb and headed to areas controlled by the Syrian Arab Army. Al-Moallem said that factions that which to pursue settlement must declare their position and fulfil their obligations. On the information indicating that an alleged chemical attack is being staged in Idleb by the White Helmets, the Minister said that the White Helmets have abducted scores of children and started to broadcast fake testimonies by them, and a number of chlorine gas containers were smuggled into areas controlled by the White Helmets by Jabhat al-Nusra and in cooperation with the British intelligence to stage a scenario to be broadcast to the world once the military operation begins in Idleb. 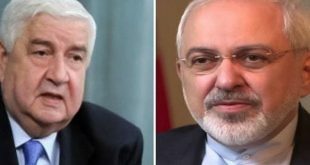 Al-Moallem said that this isn’t the first time that a tripartite aggression was set up under the pretext of using chemical weapons, as the US had attacked al-Shairat airbase under the claim that chemical weapons were used in Khan Sheikhoun in Idleb, and after that the US-British-French aggression on Syria took place in April based on claims of chemical weapons being used in Douma, all before any investigation into the alleged incident could be conducted. The Minister affirmed that the US presence in Syria is illegal and against the interests of the Syrian people, and that the US has been openly hostile towards Syria since 2011, adding that there is tangible evidence that the US still supports Daesh (ISIS) and arms Jabhat al-Nusra, and now the US is planning for a tripartite aggression under the pretext of chemical weapons. He said that Gulf states don’t make their own decisions as they obey the orders of Washington and fund the illegal US presence in Syria, noting that what the Saudi foreign minister said during a joint press conference with his Russian counterpart represents a new discourse in the Saudi position, which is welcome, even if it comes late, adding that Syria would welcome any Arab state that wishes to resume relations with it. 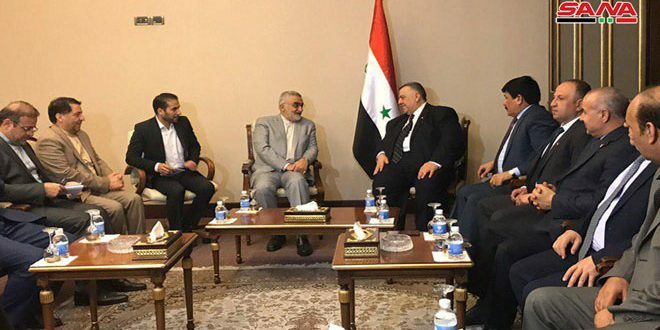 Al-Moallem affirmed that the Syrian-Iranian relations are deep and strategic and not up for bargaining, and that the Russian-Turkish understanding is important, adding that Syria doesn’t want a confrontation with Turkey, but the Turks must realize that Idleb is Syrian territory. 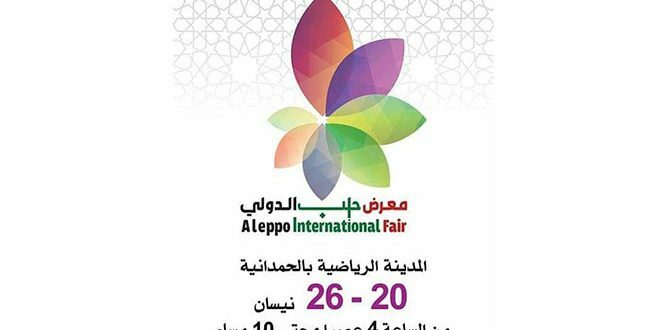 The Minister said that the reconstruction process has begun with efforts and funding by the Syrian government, noting that this process needs foreign expertise and funding, which are available in friendly countries like Russia, Iran, India, Malaysia, China, and Brazil. 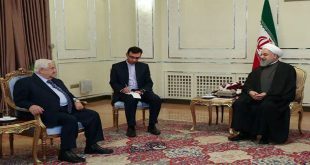 On the efforts for the political settlement of the crisis in Syria via the Geneva, Astana, and Sochi meetings, al-Moallem said that each platform has its role in the process, as Astana led to the de-escalation zones, and Sochi was where intra-Syrian dialogue was launched, but sadly Geneva is still subject to Western pressure which is why no progress was made there. He said that Israeli threats to Syria are constant and nothing new, as Israel as targeted several areas in Syria, asserting that Syria will respond and it is currently responding by striking Israel’s terrorist pawns in the southern provinces. 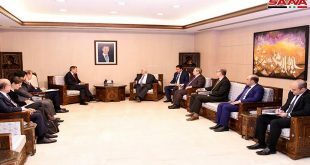 In response to a question regarding dialogue with Kurds, al-Moallem said Kurds are a part of the Syrian social fabric, and regardless of the promises made to them by the Americans, they should look back to their own experiences throughout more than 100 years in terms of relying on major countries that eventually abandons them. 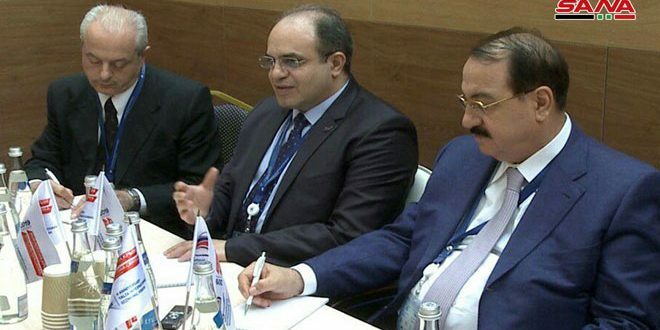 “The Syrian government is prepared to resume dialogue with Syrian Kurds without any foreign interference,” he added. 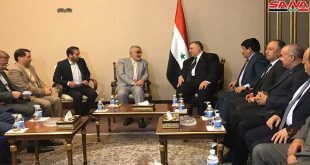 The Minister said that Syria is betting on the Americans is an illusion because they are notorious for abandoning their allies, while betting on the homeland is a sure bet, because Syria is determined to reclaim all its territory including the area east of the Euphrates, as it will not allow for separatism or federalism. Al-Moallem reiterated the Syrian government’s invitation to displaced Syrians to return to their homeland, saying this return is welcomed and desired, as it will benefit both the displaced and Syria since the government wants them to be part of the reconstruction programs.